By Lauren Corba. Aug 28, 2014. 9:00 AM. 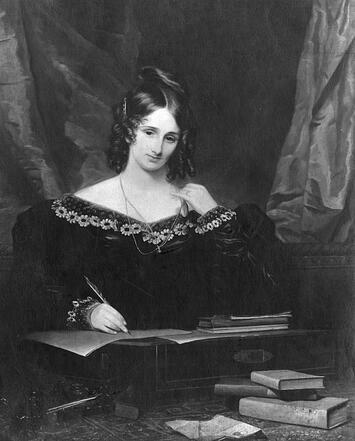 Mistress of the Gothic novel, Mary Wollstonecraft Shelley—née Godwin—was born August 30, 1797 in London, England. Her parents were famous intellectuals: writer and philosopher, William Godwin, and women’s rights activist, Mary Wollstonecraft. Sadly, complications from childbirth led to Wollstonecraft's death just days following Mary's birth. Although Mary had a relatively happy childhood, her father's remarriage to Mary Jane Clairmont led to discord. Godwin’s friends were not fond of Clairmont and Mary also disliked her stepmother. These struggles aided her art, however, for at a young age Mary was taught to channel her emotions into writing. Despite minimal formal schooling, Mary received an excellent education for a woman of her time. She had access to an extensive library and constant exposure to intellectuals of the day. When Mary was seventeen years old, she began a relationship with her father’s married acquaintance, Percy Bysshe Shelley. The two met in secret, arranging secret rendezvous at Wollstonecraft's grave. Once her father discovered their involvement, he attempted to break off the relationship but was unsuccessful. In 1814, the couple left for France with Mary’s stepsister, Claire Clairmont. The trio traveled throughout Europe reading the works of Mary’s mother, keeping a journal of their travels, and developing their own writing. By the fall of 1814, money had run out and they were forced to return home. To further complicate matters, Mary discovered that she was pregnant. Mary tried her best to maintain a normal lifestyle despite a sickly pregnancy but it is rumored that during this time Percy began an affair with Claire. Little evidence supports the claim, however; several sections of Mary’s journals are missing from the period, Claire’s journal has disappeared, and Thomas Hogg—Percy’s friend and biographer—does not include a history past 1815. In any case, Mary was frequently left alone while Shelley visited his wife or engaged in outings with Claire. February of 1815 proved devastating for Mary, as her daughter was born two months premature and died two weeks later. Percy’s apathy towards the loss of their child compelled Mary to search elsewhere for comfort and she turned to Thomas Jefferson Hogg for companionship. It is often thought that Percy encouraged a relationship between Mary and Hogg, especially after his own alleged affair with Claire. Mary had no interest in a romantic relationship beyond Percy, however. Once she was healthy enough to travel, the couple moved about in hopes of relieving Mary’s depression. Eventually their travels intersected with those of Lord Byron and they spent a summer together. The season proved rainy, forcing the friends to remain often indoors. There, they read old ghost stories and invented their own. Mary’s anxiety impaired her creativity. However, on an evening in mid-June, she imagined a corpse reanimating through galvanism—the contraction of muscles due to electric shock. Once the idea came to her, she could not let it go and began writing what she thought would be a short story. Instead, she composed Frankenstein, one of the greatest novels of all time. Mary completed the novel in the spring of 1817. Just 500 copies were printed the following January by a small publication house in London. She released the novel anonymously, but it was dedicated to William Godwin and included a preface by Percy Shelley. The novel was not well received, mainly due to the bold and horrifying subject matter. Its audience was further shocked upon learning that such an “atrocious” work was written by a woman. 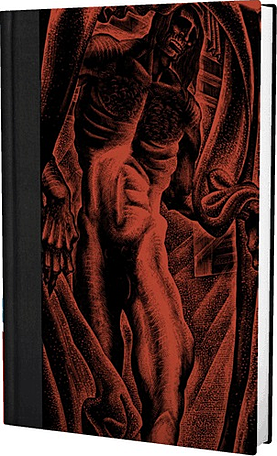 Her third and most widely read version of the story was published in 1831 and in this edition Shelley revised her novel to comply with more conservative ideals. Despite its uncertain beginning, the story has become a classic.